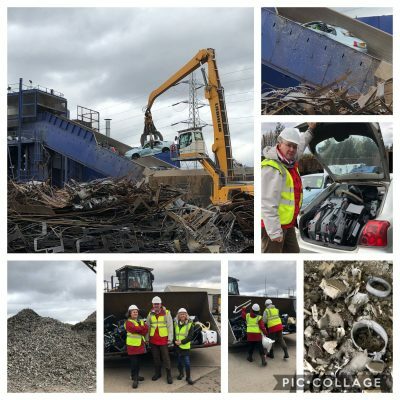 This year’s ‘Global Recycling Day’ on 18th March saw a huge leap forward in JMDA Design’s mission to raise awareness of reducing the impact of child car seats on landfill sites worldwide. With help from EMR, one of the world’s leading metal and plastics recyclers, 30 car seats were crushed in cars for recycling. The metals were separated for reuse and the plastics were sent to EMR’s plastics division, MBA Polymers, to create plastic pellets that can be used in the production process.